Use this handle to insert new elements and sections or remove extra space, while preserving alignment throughout your design. It took you a while to craft sites...we know. 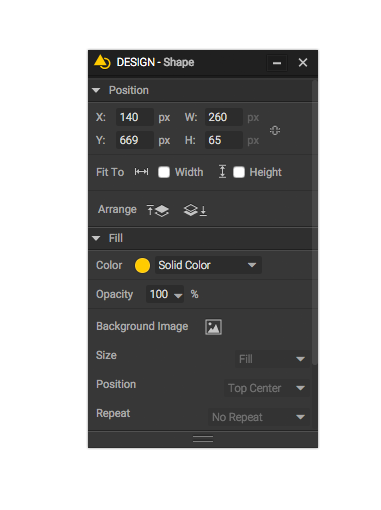 This one-of-a-kind tool allows you to easily reorder layouts and sort elements into perfectly spaced columns with the click of a button. Helping to align and scale objects, the guides and snap-to work when approaching or resizing an element relative to others on the canvas. from the side panel onto the canvas in any order or position. Move groups of elements down the responsive ladder to adapt to different device sizes and secure your design so that clients can update content, without changing the design. Craft code-free, responsive sites for your clients faster than ever. Share this with your fellow designers, they will love you for it. Our challenge was allowing absolute pixel-perfect freedom for our users while maintaining the flexibility needed to design modern layouts for multiple devices. Accordingly, the real-time performance of every feature was refined as was the Webydo Studio enhancing the ability to design sites faster and with no creative compromises. to Craft Sites in Half the Time. 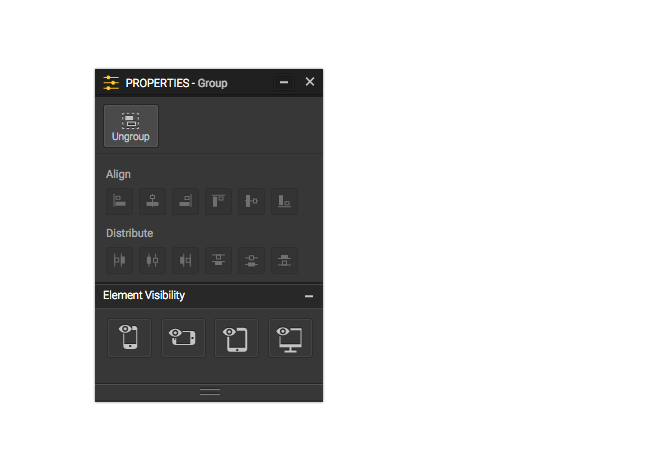 Customize your Studio interface by placing windows from the side panel onto the canvas in any order or position.